Lecturer and researcher at the Institute of Policy Studies, IPS UBD. Currently Graduate Programme Coordinator of IPS for the Master of Public Policy and Management (MPPM) programme, and the Diploma/Master in Security and Defence Studies. • St. Cross College, Oxon. Ahmad, N. (2019). "Policy Implications for Working Women in Brunei" (Forthcoming). Japan Labor Issues Vol. 3, No. 14. Hamdan, M. and Ahmad, N. (2018). Culture and Education. In The Belt and Road Country Profiles (Brunei Darussalam). Dalian: Dalian Maritime University Press. “Caught Between Values and Choices: The Narratives of Reproduction among Contemporary Bruneian Women” (2015). Paper presented at the Institute of Policy Studies Seminar Series, UBD, 29th January (unpublished). “Fertility Decision-Making among Women in Brunei Darussalam: Values and the Fluid Nature of Rezeki” (2014). Paper presented at the Korea-ASEAN Cooperation Project (KACP) on Education and Exchange Programme for Young Scholars in Women’s Studies: Uncovering Korea-ASEAN Women’s Lived Realities through Feminist Research. “Understanding the Fertility Decline in Brunei” (2013). Paper presented at the Brunei Students’ Research Symposium, Imperial College London, United Kingdom, 6th April (unpublished). “Making Decisions About Having Children: Disentangling Fertility Preferences and Intentions of Muslim Women” (In progress). DPhil in Sociology, Department of Sociology/Oxford Institute of Population Ageing, University of Oxford. “Control Mechanisms in a Small State University” (2006) Unpublished MSc in Public Policy dissertation, London School of Economics and Political Science. “Social Geographies at The Centrepoint: A Question of Contestation and Identity at a Locale at the Gadong Commercial Centre” (2004) Unpublished BA (Hons) in Geography and Anthropology dissertation, UBD. Civic Engagement in Public Policy: Implications for Governance in Brunei. Grant from Faculty Block Fund (BND28,660/2 years project; Nov 2019-Oct 2021). Principal Investigator. Deployment of Low-Carbon Energy and Transport Technologies: Policy Options and Implications for Brunei Darussalam. Grant from Faculty Block Fund (BND22,160/3 years project) - Research Team Member (in Research Design). PrincipaI Investigator: Dr. Romeo Pacudan. Miscarriage and Still Birth: Bruneian Women Pregnancy Loss Experiences, Coping Strategies and Supporting Role of Health Care Professionals. Competitive Research Grant (BND13,925/1 year project) - Research Team Member. 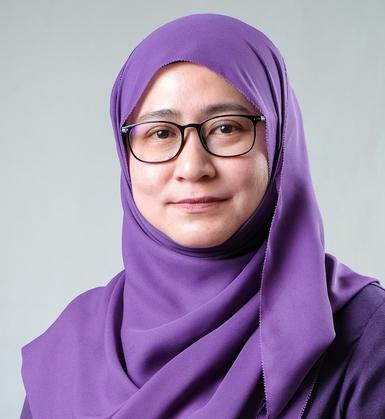 Principal Investigator: Dr. Siti Mazidah Haji Mohamad. • [Phase 2, Part I] International Colloquium and Open Forum with Study Tour in Penang, Malaysia (28-31 October 2014) with the theme "Uncovering Korea-ASEAN Women's Lived Realities through Feminist Research". All paid expenses for round trip to Malaysia including meals and accommodation.